I'm an optimist and I'm easily enthused. Show me good news about women who make movies and I'm there. So when I saw that women directed six of the twenty features in the prestigious Gala Presentations (Galas) at the Toronto International Film Festival (TIFF, or #TIFF12 on Twitter) I thought "YAY". I was delighted that Sally Potter's Ginger and Rosa, Margarethe von Trotta's Hannah Arendt and Susanne Bier's Love is All You Need were selected for the Special Presentations programme. And I was thrilled that Ava DuVernay's Middle of Nowhere, Yuki Tanada's The Cowards Who Looked to the Sky and Aida Bejic's Children of Sarajevo were included in Contemporary World Cinema programme. In the past–because I don't go to TIFF–I'd have moved on feeling happy. But after I signed the petitions associated with this year's protests about the Cannes Film Festival, where there were no women-directed films in competition, I decided to complement my protest with other strategies. I designed these to identify and celebrate the women-directed work that major festivals select and to attempt to identify and analyse the complex factors that lead to women directors' inclusion or under-represention. In theory, the more I understand these factors, the more I can help make change. One strategy I'm working on – and hope others are working on too – is to make gender breakdowns of all programmes at key festivals, to identify specific festival programmes that include women's work in good numbers. For instance, at Cannes this year women directed 30% of the short films in competition. So I set to work on the TIFF programmes to see how women directors fare. TIFF has a reputation as a festival that supports women filmmakers, thanks in large part to many years' sterling work by programmer Kay Armatage and I imagined that the 30% in its Galas would carry through to the other TIFF programmes. In A Golden Age for Women Who Make Movies (2), where I provided details of the Venice programmes I wrote (in my enthusiasm I make mistakes sometimes!) that TIFF includes a reasonable proportion of women's films. But when I looked beyond the TIFF Galas, at six other programmes, the selections are not good news for women directors or for audiences who are hungry for diverse films by and about women. I chose to analyse the first seven programme groups in Indiewire's Toronto listing, where they are in a single list (no time to do all). Here are the details, with the programme descriptions provided by the festival itself. Gala Presentations Movie Stars. Red carpet premieres. Major audience interest. Masters The latest from the world's most influential arthouse filmmakers. Special Presentations High profile premieres and the world's leading filmmakers. Contemporary World Cinema Compelling stories, global perspectives. Tiff Docs Candid and unscripted: the best non-fiction from around the world. In these 219 films, 34 have women directors: 15.5%, or 16.8% if I include the films with women and men directors. This percentage is smaller than percentages I've referred to before, of state-funded women-directed films produced in France (21%) and Sweden (19%) in 2010. It's about the same as for women-directed narrative features in a selection of American film festivals studied by the Center for the Study of Women in Television & Film in the United States (15%), slightly more than the current New Zealand International Film Festival (14%). * How did this happen at Toronto, in contrast to Venice, where women directed almost 50% of the films selected? In addition to identifying programmes where women directors are well represented, I've suggested that it's a good strategy to identify and acknowledge allies in key positions, especially male allies, like Venice's new director Alberto Barbera. He has a broad embrace. His only criteria are "absolute quality and the respect of diversity" and he took some risks to include "confirmed auteurs, many Europeans, but also lesser known directors and unknown young filmmakers coming from distant countries that lack a film industry." (@cameron_TIFF June 11) Monday. Here comes another week of persuading and defending against persuasions. Also: movies. One of the exhausting parts of the job is the constant shifting of gears. One minute you’re using every argument you can muster to persuade someone to bring a film to Toronto, or to accept a 9:30 screening time over a 9:00 screening time, or even to show you a film so you can make a decision. The next minute you’re on the receiving end of persuasive arguments, as sales agents, distributors, producers and, most painfully, directors try to convince you to select their film. In the middle of what can feel like harsh slanging matches out of a courtroom drama, it’s good to remember the movies that drive the arguments. This reminded me that 'selling' is part of the process of getting good films into prestigious festivals. Are there enough producers, sales agents and distributors out there who support women-directed films? Are women directors selling their own films well enough? Are we even offering our films? Most festivals keep statistics and it would be useful if they began to track the genders of the directors whose films are submitted. The gender proportions of directors of films selected may reflect the proportions of directors who submitted their work, or whose 'sellers' submitted it for them; it's probably a given that there are fewer women-directed films made and submitted. But this year's Venice numbers demonstrate that when a festival is committed to diversity which includes showcasing women's work equally with men's there's plenty to choose from. Did the genders of TIFF programmers make a difference? Again and again I've heard arguments that if women are decision-makers, women benefit. Not this time: nine of the seventeen TIFF programmers are women. not enough programmers were committed to women's work. Placing all that to one side now, what women directors are in the programme? Another of my complementary strategies is that I now watch only films that women direct. What films would I choose if I were creating my own women's film festival at TIFF? I wish I could include details of all the films, but here are some of the films that sang to me and the reasons for that. I hope some also sing to you! Related trailers are grouped at the end, but some films haven't got them yet. Few have dedicated websites and comprehensive social media profiles I could find, and I've linked to only one or two of the websites. And along the way I refer to aspects of some directors' philosophies and practices, because I learn from them. 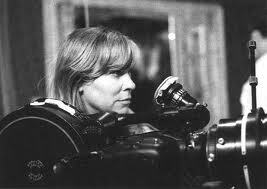 I think women filmmakers face challenges everywhere and my heart goes out to them, especially in western countries. I absolutely know that women in the Arab world are at a huge advantage over women in the States. There is huge interest in empowering women in the Arab world, because people want to break the stereotypical image of the dominating Arab man. All women with vision are trying to use these initiatives for their benefit. But of course we also face the same challenges as women filmmakers everywhere, in that you find yourself working in a male dominated field and you always come across people who have narrow minded preconceptions and won’t trust your talent or ability until they actually see you working, and even then they might not be happy, out of sheer stubbornness and/or arrogance. But this drives me to be more intent on proving myself. And Ruba Nadda, whose Inescapable – a thriller about a father whose daughter goes missing in Syria – is among the TIFF Galas, also tells it like it is in this 2010 interview. I believe that I have actually been put on this earth to tell stories of people like me, who live between worlds...We all know there has been an enormous schism, a wall between East and West, since, in this last decade. So I sought very much in the dialogue between America and the Islamic world in The Reluctant Fundamentalist to really bring some sense of bridge-making, some sense of healing, a sense of community that goes beyond the stereotypes, goes beyond the myopia, goes beyond the ignorance. As expressed at the press conference, Mira Nair's intentions are very beautiful and persuade me to be first in the queue when The Reluctant Fundamentalist comes to Wellington; perhaps all the women in this group have similar motivations. And for me, Mira Nair also provides a very special, holistic, filmmaking model through her Mirabai Films, which produced The Reluctant Fundamentalist with Lydia Dean Pilcher's Cine Mosaic. I think it's unique and something I'd aspire to if I were starting out. Mirabai Films has been established for more than twenty years, in New York City, Kampala and Delhi. Its website describes it as moving 'fluidly between commercial and non-profit pursuits'. The non-profit pursuits? Mira Nair used the profits from her Oscar-nominated debut Salaam Bombay! to create the Salaam Balaak Trust for India's street children. And she founded the Maisha Film Lab in 2005, a filmmakers' training programme for East Africans, with the motto "If we don't tell our stories, no-one else will." I love it that she is producing with Cine Mosaic, too, because it appears to be an all-woman production house and is "committed to producing feature films with an energetic focus on entertaining stories that promote social, cultural and political diversity". I've already mentioned Sally Potter's Ginger and Rosa and Margarethe von Trotta's Hannah Arendt, about about the German-Jewish philosopher and political theorist. Sally Potter's work and ways of working have inspired me for a long time, and Australasians will have a special interest in Ginger and Rosa because Jane Campion's daughter Alice Englert plays Rosa, with Elle Fanning as Ginger. Hannah Arendt has been submitted for consideration as the German entry for the Foreign Language Academy Award 2013. My big question about these two films is why they aren't in the Masters programme, among the films the directors' peers have made, where there are only men-directed films. I'd like to see more Japanese and Chinese films that women direct. Japanese women directors appear not to move across borders in the same way as Asian women from some other countries do, perhaps because their history is very different, and I didn't come across a single film with a Chinese woman director. But Yuki Tanada's The Cowards Who Looked to the Sky (Contemporary World Cinema) and Miwa Nishikawa's Dreams for Sale (Special Presentations) look like treats. There's a great interview with Yuki Tanada here. Both women's films are listed on MUBI (where there's also a terrific list of Essential Films By Women). Ava DuVernay's another of my heroes for the way she works. 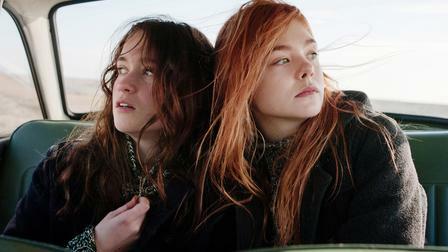 Middle of Nowhere is her second film and won her the Best Director award at the Sundance Film Festival this year. I think that it's the only narrative feature in the programmes I surveyed which is directed by a woman based only in the United States (unlike Mira Nair, for instance); the others are documentaries, except for the jointly directed Imogene. Here Ava DuVernay talks about Middle of Nowhere. And what about the way Ava DuVernay works? Like Mira Nair she's established a structure that also supports other filmmakers as well as her own work: the African American Film Festival Releasing Movement (AFFRM: Together We Are Strong). AFFRM celebrates 'fresh voices in Black filmmaking' and partners with film festivals, colleges and churches to release films across the United States. Its message is "Tell that story that's true to you, tell the story that's in your heart that the studios don't want", close to Mira Nair's "If we don't tell our stories, no-one else will". Inspiring. When I read about these docos I thought YES. These are about fear and courage and I want to see them. Producer/director Janet Tobias'No Place on Earth is about thirty-eight Ukrainian Jews who survived World War II by living in caves for eighteen months, the longest underground survival in human history. The film is part of a larger project. Hala Alabdalla's As If We Were Catching a Cobra started as a documentary about the art of caricature in Egypt and Syria and became "an electrifying, intimate, passionate documentary on the fearless tenacity of Arab artists fighting for freedom and justice". I always like docos where women tell stories about other women's lives. Women directed the only two documentaries in Galas, both about extraordinary women from the United States. Shola Lynch's Free Angela & All Political Prisoners is about radical activist Angela Davis. Looks extraordinary. 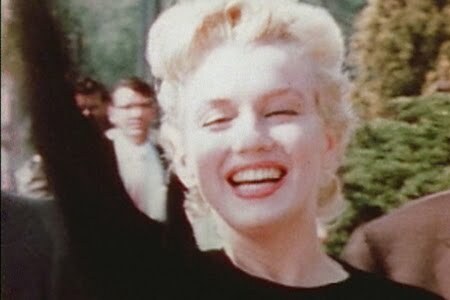 Liz Garbus' Love, Marilyn focuses on two boxes of Marilyn Monroe’s private writings and musings, which were discovered in the home of her acting coach nearly 50 years after Monroe’s death. In Special Presentations, there's Maiken Baird's Venus & Serena, about the Williams sisters. And one of the only two women-directed films in Vanguard, Peaches, the Canadian electronic musician and performance artist who lives in Berlin tells her own story: Peaches Does Herself. The clip below is not the trailer, but has the same title as the film and gives an idea of her performances. I've had some positive and heart-warming responses to this post, which I deeply appreciate. Here are some from Twitter. And here's a great interview with @jane_tiff, Jane Schoettle, who is responsible for programming Australasian films, among others: TIFF programmer dishes on film roles for women, George Clooney and saying no. Sydney Levine at Sydney's Buzz also wrote about the 'female factor' at TIFF and the half-full glass, and included some interesting facts about women and film in Canada. *The Center for the Study of Women in Television and Film has released its 2011-2012 research, which is encouraging. Since the center's last survey in 2008-2009, the proportion of women-directed narrative films screened at selected United States festivals has increased from 15% to 18%, the proportion of writers from 15% to 21%; and the cinematographers from 6%-9%. All great news! I'm so glad someone is doing this. TIFF used to release special theme lists of films by women, gay, Asian, African-American, etc. but stopped, probably when it got too embarassing because the numbers were so low. Although there are many women among the TIFF programmers, few of them have much power or wide purview. Diana Sanchez for one always seeks out women directors, but in her Latin American beat, the numbers may be low from the start. But do keep up this excellent work. It's important. I hope someone at TIFF reads it. Tx, Anonymous! I've added some tweets above to show you that people at TIFF have indeed read this and I think the responses are very positive. My understanding from the women at CIMA/EWA (http://wellywoodwoman.blogspot.co.nz/2012/04/spanish-women-directors-provide.html) is that Latin American women's filmmaking is strong. I've been working towards a post about Latin American women for a while and hope to have one soon.